The aim of the 2019 State of xCommerce Report is to provide you with a unique insight into the world of digital commerce, driven by the consumer's standpoint. By “xCommerce” we mean the wide spectrum of technology that stands behind in-store and online commerce experience - ranging from mobile, kiosks, PoS, IoT, connected homes, cars, voice, AR/VR, and many other innovative use cases that will usher in the next wave of commerce and enable better consumer engagement. Contrary to the “retailpocalypse” chatter, 2018 proved crucial for digital commerce. It established trends among consumers and shattered the record books for both online and in-store shopping during and outside of the Holiday season. But not all retailers came out successful. What is the Number 1 factor that separates the 2018 commerce winners and losers? How can you leverage this factor to set your business up for success in 2019? You’ll learn this and more in the 2019 State of xCommerce Report, featuring survey insights gleaned from over 1,500 consumers across the United States about their shopping habits and what shapes their individualconsumer journey. What consumers expect from retailers. Moltin conducted this survey with a diverse set of 1,500 consumers from various U.S. states, 53% female and 47% male, aged 18+ with the typical income ranging from $25,000 to $75,000. Bearing in mind that it’s the customers who shape the future of retail, we questioned consumers themselves on topics such as online shopping habits, channels they typically use to purchase products and the ways they wish they could do shopping, what they see as the most important factors forging their customer experience and what would they like to see improved in 2019. The list of stores that choose to stay closed on Thanksgiving day continues to grow. Retailers seem to think that physical presence is losing its momentum, and instead they turn to the online world and heavily invest in the digital experience. But is that really what the consumer is after? Turns out people still want and need people, and the human aspect of purchasing is still in high demand. When asked about the most common channel used to buy goods, in-store and website, went almost hand in hand with in-store shopping reaching almost 83% and website hitting 81%. If you could purchase through any of the following channels in 2019, which would you choose? Evidently, consumers are not ready to abandon brick and mortar retail experiences in favor of digital-only commerce. 56% of those surveyed indicate that having an improved in-store checkout experience is their top priority for a better customer journey. They also stress the importance of being able to interact with experienced and friendly store personnel. 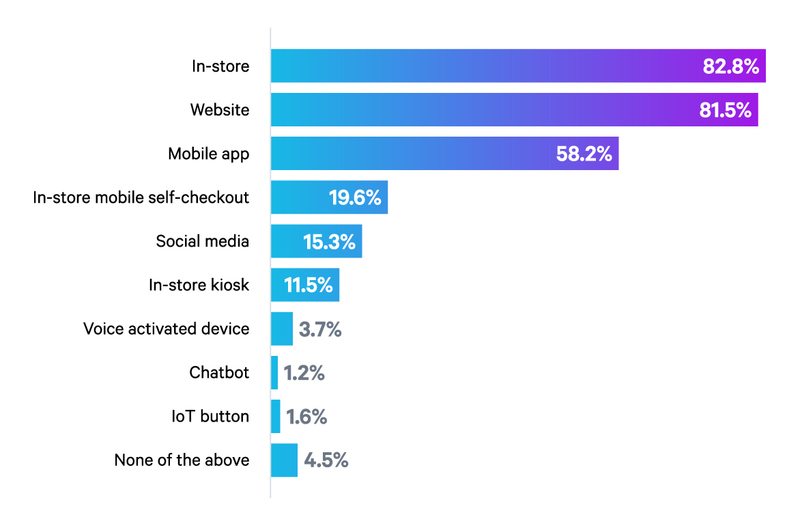 Almost 90% of the additional feedback provided throughout the survey indicates that checkouts staffed by people and helpful customer service are the most important factors of why they prefer the in-store experience to the digital one. Empower your customers to make a purchase right at the moment of interaction with the product. Use such technology as self-checkout app, mobile self-checkout URL, or magic mirror to streamline the checkout process. At the same time, let your employees focus on the most important factor of brick and mortars: helpful customer service. What constitutes to a seamless customer journey? Does a seamless customer journey mean the retailers have it all wrong, betting on technology rather than physical presence and staff training? Not exactly. To be able to answer this question fully, let’s deconstruct the customer journey - what it means for the consumer and what it means for the retailer. Ideally, these two standpoints should overlap, but in reality, retailers are often chasing after some idealistic consumer persona that is only a phantom of the real thing. For real flesh-and-blood consumers a customer journey is simply a quicker, more convenient, and more engaging way of shopping. No more, no less. Sounds easy, right? In practice, for a retailer to cater to these three requirements, it means abandoning the cozy notion of strict borders demarking the digital and the physical, and finding a golden medium that satisfies both worlds. In other words, it’s not a matter of simply thinking physical or digital, but rather how customer-centric the solution really is. Now, that sounds demanding, doesn’t it! However, if you think of the myriad of possibilities that modern technology offers nowadays, it’s just simply a matter of finding the best solutions that consumers will find helpful and at the same time engaging. No more, no less. Boring brick and mortars are already losing the battle. Bring exciting digital experiences to your in-store customers. Digital displays, mobile POS systems, cross-platform shopping carts are only some of the solutions you can use to reinvent customer journey. Customers long for something to draw them to physical stores, and then keep them in store for longer. Half of the respondents admit they shop in store only if there is some promotional event occurring or great discounts. Almost 35% are drawn to shops that give a positive shopping experience, and that can be anything from a discount to great customer service, to engaging event. 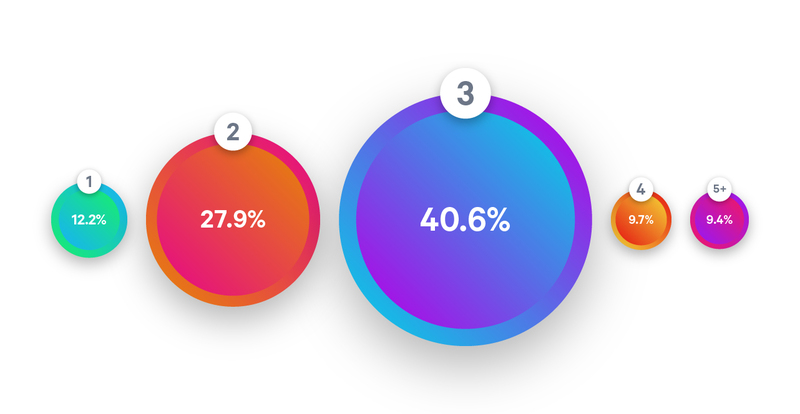 These numbers suggest one thing; customers are fully aware of the power they have over the retailers, and they all want to be dazzled by unique or personalized shopping moments with 60% of respondents deeming a personalized customer experience as important. Don’t be a Grinch of the shopping world! Allow your customers to enjoy themselves and feel pampered. Create engaging customer-centric experiences by personalizing customer orders, creating unique flash sale experiences, or designing bespoke digital shopping assistants, such as virtual fitting rooms, chatbots, and more. In the consumer-driven world, it’s hard not to consider consumer’s opinion when thinking about retail. But it’s equally hard to cater to the ever-changing and expensive-to-implement fads that customers seem to be wowed most easily by. Besides, that’s not how retailers win the hearts of their most loyal consumer base. It’s the way to draw a crowd, but what makes them want to stick around or come back? How can you create a perfect loyal consumer that spends fortune and always comes back for more? Let’s take a step back, and analyze not the answers given by our respondents, but the words that are most likely to draw customers’ attention and be selected by them. If asked about the most important factor when purchasing a product, more than 60% react positively to the word convenience, followed by price (47%), speed of in-store or online checkout (38%) and seamless experience (25%). What is most important to you when purchasing products? Now, the easiest way to cater for these three concepts is to create a solid online presence where consumers can compare prices from the comfort of their own home using their broadband network that in turn then speeds up the checkout process. That would explain why so many retailers turn their focus away from brick and mortars. In fact, only this year more than 4,000 stores were closed down across the U.S. These numbers show us an important indicator, many retailers are still not ready to fully embrace the merge of the physical and the digital, and still think in a too one-dimension fashion. So, if closing a brick and mortar isn’t the way forward, what is? Whether your customer is in store, on your website, reading a blog, watching a video or browsing their social channels, give them a seamless, connected path to purchase by adding a cross-platform shopping cart or embedding a buy button, making every channel shoppable. Are convenience, experience, and speed synonymous in modern commerce experiences? The notion of “experience” is gaining popularity not only in the world of software and digital commerce, where user experience (UX) drives the way many platforms are developed and designed, but it is also crucial when thinking about retail and consumer trends. Apart from being a highly used buzzword, how can we quantify a term as subjective and broad as the word experience, or even analyze it in a more unbiased matter? Interestingly, if paired with retail-oriented terminology, like shopping experience, checkout experience, or in-store experience these ever so slightly ephemeral terms rank really high among the consumers who took our survey. And so, experience in various flavors is the top choice for those who were asked about the top reasons for shopping in-store and top most important factors when buying a product. What does it mean for the commerce word, and what does experience, convenience and speed have in common? They all refer to the most simplistic and yet most effective business model, usability which comes to two basic factors, ease of use and speed of delivery. It works with physical and with digital alike. If your store is easily navigable, stock is clearly labeled and the checkout process is fast and smooth, customers will love it! If your website or mobile app is fast and secure, and the checkout process is hassle-free, customers will also love it! Now imagine if you could combine multiple channels to build a perfect, harmonious customer journey, where a customer is not constrained by devices, stock shortage, or long lines, and is engaged from the very moment they enter the store, whether it’s a brick and mortar or its digital equivalent. And this alone is a real win-win situation for all, consumers and retailers alike! Due to the granular nature of the APIs, it’s easy to customize your project to your specific needs. APIs are decentralized and not restricted by any specific programming language, making them easy to plug into any existing IT infrastructure or device. You can free your organization of constraints levied by your existing systems, such as your current eCommerce platform, OMS, POS, etc. and leverage and API-based approach to seamlessly integrate any solution you can think of on top of your existing infrastructure to build and deliver new, innovative commerce experiences in less time, providing engaging new experiences for your consumers. How much is omnichannel considered table stakes? The world nowadays is saturated with technology. Consumers use technology to interact with brands, and it is retailers’ responsibility to reach out to their customers through multiple channels. This is no longer an expectation, it’s a reality. Omnichannel is a norm, and should not be treated as an innovative idea anymore. Customers research online, collect in store, and pay through their mobile. Only 11% of consumers admit they only use one channel for shopping, whereas the vast majority prefers the multichannel experience. How many touchpoints do you use when making a purchasing decision? Desktop and mobile drove the 2018 top sales, and will most likely continue to do so in 2019. With the rise of Progressive Web Applications (PWA) that merge the mobile and desktop experience, providing an even smoother customer journey on a mobile device, any technology that seamlessly complements the in-store experience will get a lot of consumer attention. 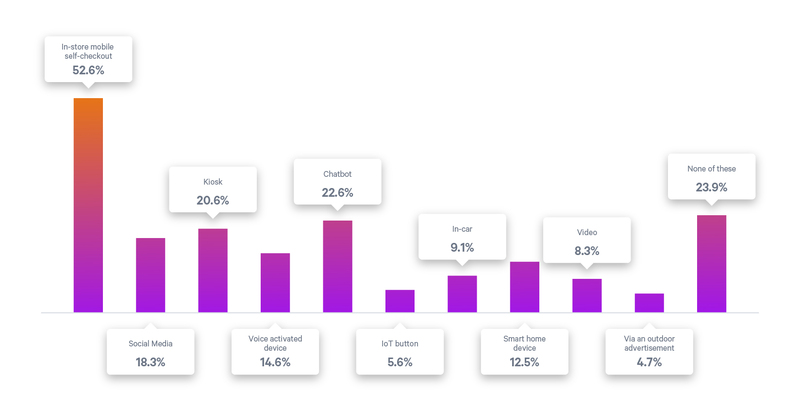 And thus, unsurprisingly so, mobile self-checkout mentioned by almost 53% of respondents as a channel most likely to be used by them in 2019. 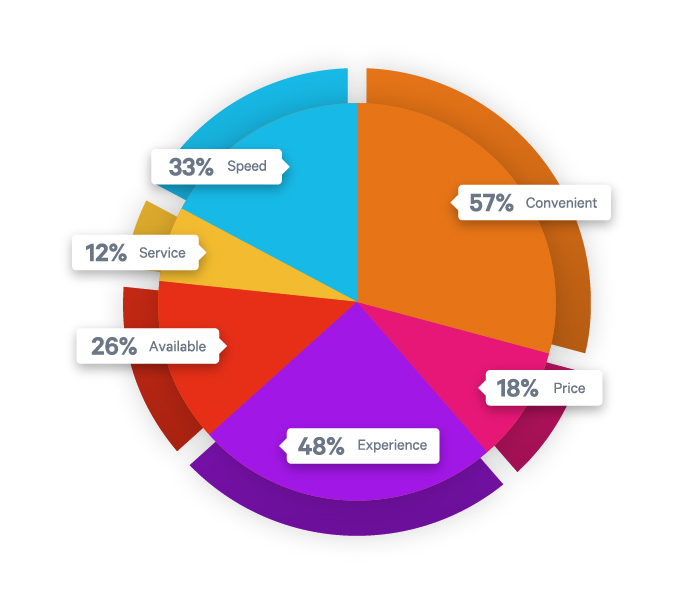 In the last 12 months have you purchased products or services from any of the below channels? What is surprising though, especially with all Facebook-related data mining scandals and Instagram security issues, is that social media channels are becoming more and more popular for shopping. Almost 20% of consumers express an interest in interacting with a brand and shopping through various social media channels. It’s a no-brainer that you need to invest in technology to blur the lines between physical and digital commerce presence, and provide your customers with delightful, fresh experiences. With the incredible speed technology is being developed, it is hard to know where your investment should focus on. Is it a state-of-the-art website, an AI-powered chatbot, or a magic mirror that allows for the instant checkout? Mobile self-checkout. Customers want to feel autonomous. Give them this possibility by providing a URL they could use to scan and check out a product anywhere and any time in the store. Social commerce. Customers want to feel empowered. Turn your ordinary customer into an influencer who can inspire other people to buy your products. Embed a buy and checkout feature into a social media channel. Content commerce. Customers want to buy in the spur of the moment. Let consumers transact at the moment of interaction with your product by embedding a commerce widget into your blogs, existing content sites or even videos. Connected commerce. Customers want to be challenged by new gadgets. Reinvent your in-store experience and bring technology indoors by investing in cutting-edge equipment like a magic mirror that allows purchasing right from the fitting room. True omnichannel. Customers want consistency. Harness the power of APIs and create a seamless and consistent experience across all consumer touchpoints. 2018 was a record-breaking year for digital commerce, and 2019 looks to be even bigger. Consumers are looking for new and exciting ways to interact with their favorite brands; but they are not yet ready to abandon channels they’re most used to, be it digital or physical. It is great news to all those retailers who invest in new digital commerce technology, but at the same time continuously improve their existing channels, delivering a smooth and unforgettable experience to masses. Moltin provides the only Headless Commerce Platform for developers who require flexibility, speed, and control, and won’t settle for cookie-cutter experiences. With Moltin, you have the ultimate level of flexibility at your fingertips to customize and orchestrate the data structures, logic, and workflows for your entire commerce stack according to your unique business requirements, so that you can build and deliver the most innovative commerce experiences, fast.